Known as edX, the company is one of the leaders among online course providers. They have developed online learning to a whole new level, with certification that can actually land you the job or position you want, the smart way. This is my review on how you can leverage your certificate backed learning through their easy to use and popular online course platform. It all started from an idea to make education accessible for everyone without limitations or boundaries which was an instant success story worldwide. To provide the best value possible to students, they added paid certificates and other advanced courses while maintaining access to online sources free “here“. Providing something for everyone, without a doubt their biggest attraction is being able to get the same level of education as in highly reputable educational institutions, without having physical boundaries as well as providing a game changing reductions in both cost and study efficiency. By being able to master the exact field that’s needed for you to succeed in life, any student motivated enough can make anything they want out of their lives. The negative stigma of online certificates is slowly fading away and employers are able to recognize the individual effort that can be made through platforms such as edX. Likewise some students still have prejudice against online learning but what really has turned things round for them are the social features of the platform. Not just online course material is provided but emphasis is put on social features, where you can interact with other students and course assistants. Independent learning has never been so efficient before. And neither has edX forgotten the needs of students who might struggle to pay for high-end degrees or quality certification for maximum benefit. While costs are much lower than in schools and other physical institutions, they have go further with regular promotions for savings up to $150 per course. You can check out all the latest edX promos at this link. No need to spend time and effort trying to pass entry exams. No physical boundaries so you can study from anywhere. No student loans or expensive courses. Ability to study subjects completely free without certification. Massive community that can provide one-to-one support all the way from the beginning to the end of your course competition. Ability to study exactly what you want at your own pace. All in one solution no matter what your goal in life is. If you are looking for an alternative route to learning anything from math to law or any other school subject there is, no doubt edX is an obvious choice. The edX platform is one of the best and leading MOOC sites on the internet. 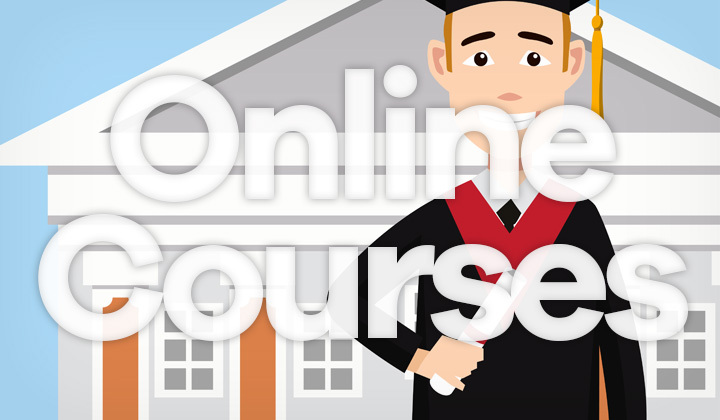 It stands for “Massive Open Online Course “, meaning that the provided study courses are openly accessible via the web for the use of unlimited participants. The originally site was founded by Harvard University, and the Massachusetts Institute of Technology in 20120. Currently their courses are provided by more than 120 institutional partners from universities to other educational organizations around the world. These courses are not just video lectures, problem sets, readings and traditional course material. Much emphasis is put into interaction where students, professors and course assistants (also known as teaching assistants) are part of a support community for immediate feedback during the online learning experience. Over 2,200 courses are currently available in subjects such as Math, Economics, Education, Languages, Environment, Humanities, Law, etc. More traditional school institutions are here to stay, yet they are increasingly backing online learning opportunities and teaming up with companies like edX. And without a doubt we are at a turning point where job seekers are more and more seeking for new ways to get to where they want in life. To which online courses will continue to provide a viable answer at a growing rate. As to how these two forces will balance each out in the long run is yet to be seen. Best of luck with your study endeavours! What’s your review of learning with edX? Questions welcome on online courses welcome too. Thank you for reading my blog, David.